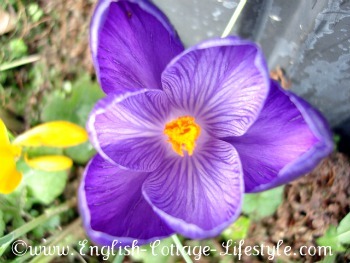 February Calendar For The English Cottage Garden. Cottage garden February calendar. Thing’s to do in the cottage garden this month. February can be the coldest month of the year and its hard to get motivated to go outside. The cottage garden may look a little gloomy but there are a few plants to enjoy. February is the month to prepare for the gardening season, its time to have a general clean up and plan the gardening year ahead. Take advantage of any mild days to tackle winter pruning and soil cultivation. You can begin to prepare the soil with organic compost so that it will have time to be absorbed before the planting season ahead. If its cold stay inside where it is cosy and work on planning your cottage garden. During February the wildlife could use a little help if you are trying to attract them into your cottage garden. Clean bird feeders to prevent disease spreading and to keep your garden creatures in good health. If you leave out water make sure that it is not frozen. Temperatures vary all over the country and your garden will have it’s own micro climate so take that into consideration. You may need to adjust this February calendar a little for your own cottage garden but it’s a good place to start. February Calendar: Flowering Cottage Plants. Prune summer and autumn flowering shrubs such as buddleia. Prune late flowering clematis and jasmine and winter flowering jasmine. Plant bare root roses into the ground while they are still dormant before March. 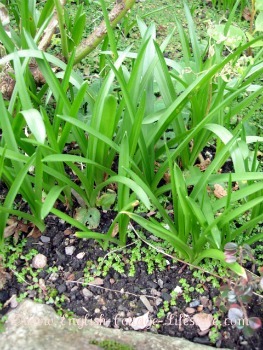 Plant out any potted bulbs such as hyacinths, daffodils grown indoors once they have finished flowering. This month finish pruning wisteria. Lift and divide congested clumps of winter aconites. Remove any chicken wire over bulbs if you placed it there to protect the plants from squirrels. Plant snowdrops and winter aconites. Harvest Time: Brussel sprouts, cabbage, cauliflower, forced rhubarb, kale, leeks, parsnips, radishes, sprouting broccoli and Swiss chard. Have a look at your herbs and clean up old foliage on chives etc. Plant potatoes and asparagus crowns. Buy shallots and onions for planting late in the month or next month. If its mild sow peas and put them under cloches. Clear away the last remains of over wintered vegetable crops. 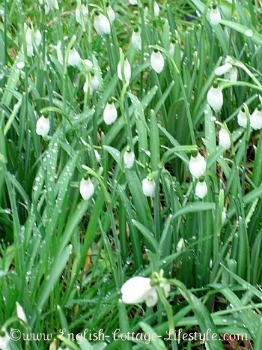 February Calendar: General Cottage Gardening Jobs. Check, repair and clean any gardening equipment and storage areas ready for the gardening season. Plant bare root trees and shrubs. When there is no snow, or on milder days, have a tidy up and remove fallen twigs and leaves on which disease organisms may thrive. If a pond is frozen gently melt the ice by placing a hot pan of water on the surface. Remember to clean and fill bird feeders and now is a great time to hang nesting boxes.